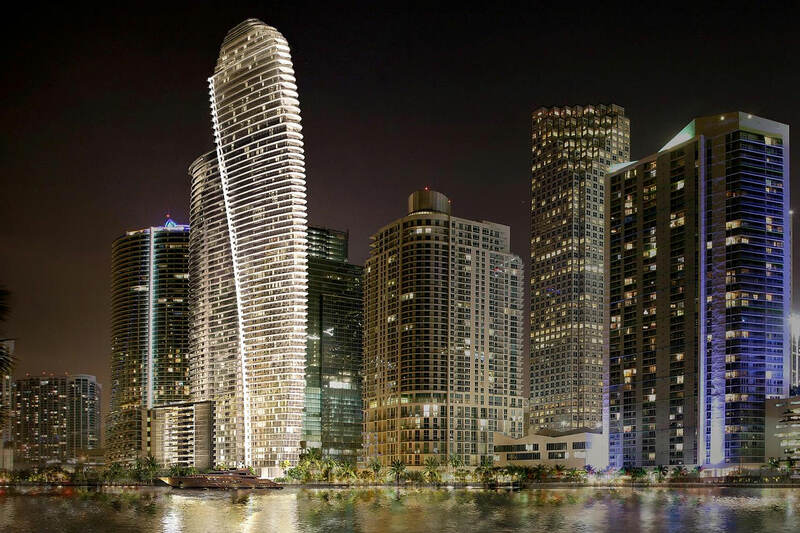 The developer of the 66-story Aston Martin Residences has secured a $200 million construction loan. Itaú BBA International plc, a London affiliate of the Brazilian bank, issued the loan. Riverwalk East Development LLC, an affiliate of G & G Business Developments LLC, is the borrower. The loan matures in 2023. Over 40% of units have been presold, the developer said in October. The project includes 391 condo units ranging in price from $700,000 to $50 million. Activity at the site has been ramping up recently, with work now regularly lasting into the night. The developers also recently obtained FAA approval to install two tower cranes, which will rise 889 feet and 851 feet. Foundation construction has been underway since October 2017. When complete, Aston Martin will rise 816 feet above ground, or 820 feet above sea level. Brickell’s 85-story Panorama Tower is the only building in Florida now taller, at 868 feet above ground. … and people here will still say this isn’t happening. 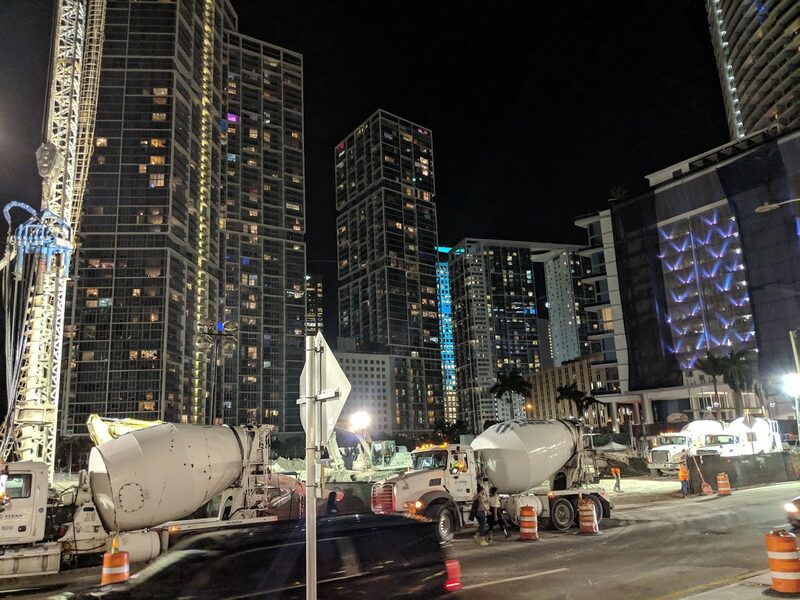 Hey, this project and Brickell Flatiron ain’t happening, they’re just mirages so don’t believe your lying eyes. lol…. Looking forward to see this beauty rise! the location in the map is slightly incorrect. The correct location is across from the JW Marriott, next to EPIC, by the river. I thought the same thing but the map is showing the location of the sales center. now it is…. before it was not…. The only projects that aren’t happening are Mana’s wynwood development next to I95 and his Flager street development and Gentings Resorts World. I thought this developer was self-funding this project w/o any loans..,. Awesome! It will unify the CBD and Brickell’s skyline. Miami is a city. Those others are neighborhoods. I think you got it right. Developers and the sales team did put up a great Miami poker face and acted like this was going to happen but til this loan was secured this development would have never happened. You can argue below. Yes folks, Del la Fe is tuned in to everything going on in Miami. Man, they have been soldiering forth without the financing. Of course they will finance, who with a brain wouldn’t?